More common than we realize. So what causes leaky gut ? Leaky gut is a condition that results from a malfunctioning digestive system affecting scores of people, with many more not even aware they have the condition! Natural practitioners, and some mainstream docs understand that leaky gut can lead to a myriad of health problems; health problems that are so prevalent today such as autoimmune conditions, joint pain, skin conditions, bloating, lethargy, allergies, food sensitivities, inflammation, chronic fatigue, brain-fog etc. It results from our gut lining being damaged. Once damaged, particles will pass through the gut wall such as proteins, poorly digested food, and toxins which can then enter the blood system. When passed through the gut wall, our well equipped, wonderfully designed body is alerted to ‘foreigners’, and so goes into action of ‘defence’ creating antibodies, and the body is then ‘triggered’ resulting in food sensitivities, allergies or more precisely classed as ‘false allergies’, inflammation, and stress on the auto-immune system. 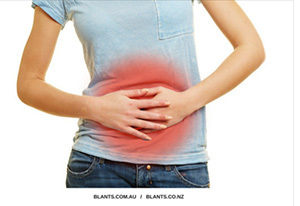 This is just one of the possible downward spirals resulting from leaky gut. Some particles will also cross the blood/brain barrier causing brain fog & depression. Typical causes of gut lining damage could be a chronic poor diet with too much sugar, gluten, casein, and grains. Also any hybridized or GMO food, a low enzyme count, low Sulphur, dysbiosis, chronic stress, alcohol abuse, and a gut flora which is constantly out of balance.